Golden Gate Park Bike Rentals - See The Full Park! When looking to explore one of the most popular parks in the United States, you may want to consider the excitement and fun that comes during a bicycle excursion involving one of Mother Nature’s most favorite playgrounds. While not everyone possesses their own set of wheels, there are a handful of Golden Gate Park bike rentals that are only a hop, skip, and a jump away. Found in a centralized location, Streets of San Francisco Bike Rentals provides bicycle rentals for both self-guided and guided tours of Golden Gate Park. Most people will call to make a reservation or book a rental online. Walk-in customers are also accepted. With an arsenal of 7- and 8-speed city bikes, you’ll ride through the city and park streets in comfort. Also, if you participate in one of their SoSF Bike Tours, you’ll receive a 50% discount off of your rental. All rental bikes come with a custom map, lock, and helmet. Basic pricing for daily bike rentals are $32 per day for a 24-hour period with an hourly rate of $8. Multiday and weekly pricing discounts for bike rentals are available. For example, a 7-day rental costs $125, which offers a $99 discount. •	Public C7 City Bike – 7 speeds, upright position with a ‘step-through’ steel frame that makes it easier to get on and off your bike rental. Hours: Opens daily at 8 a.m.
With three shops about town, the Taylor Street location is a popular hub for bike rentals and tours. Here, you will find a range of comfort, performance and specialty bikes (such as tandem models) for your travels about Golden Gate Park. One of their most popular rentals is the comfort hybrid model for the casual touring of trails – followed by the comfort mountain bikes. To cover more ground and handle the hills of San Francisco, Bay City Bike Rentals & Tours also provides power assisted eco-friendly electric bikes that deliver an extra burst of energy when pedaling. •	Performance –Four different models range in per-day rental prices from $40 to $68. •	Kid Options – $20 per day for children’s bikes, tag-a-long options, trailer models, and bike car seats. 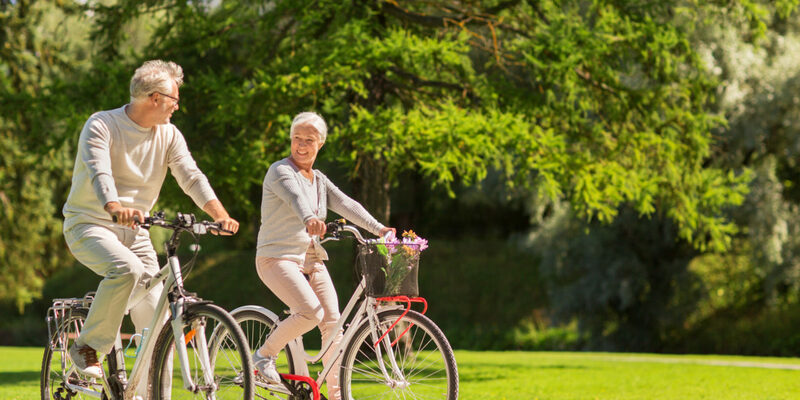 Boosting one of the largest rental fleets and widest selection in the United States, there is no need to reserve a bicycle at Blazing Saddles Bike Rentals. However, ordering online will award you with an automatic 10% discount. 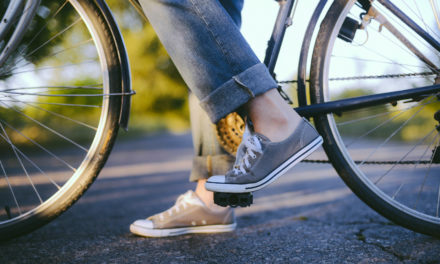 All bike rentals come with complimentary custom maps, helmets, locks, handlebar bags, and rear racks with bungee cords so that you can attach a backpack and/or purse. A convenient 24-hour drop off for bike rentals is located at the 2715 Hyde Street. Options for kids include small and large bikes, as well as trailers and bike car seats for $20 per day. Kids may also partake in the Triple Tandem for $105 per day or the Kids Tandem for $58 per day. There are also weekly rates for rentals that start at $99. Offering online rental reservations at discounted prices, Golden Gate Tours & Bike Rentals will additionally provide complimentary maps, helmets and locks with your rental. The company books rentals on a daily and hourly basis. There is a two-hour minimum requirement to rent a bike on an hourly basis. They also offer discounts for making an online reservation. You should also keep in mind that if you drop off your bike rental at a location different from where you first started out, there is a $3 charge. 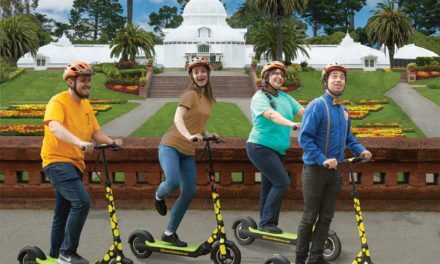 Situated between 6th Avenue and 7th Avenue, Golden Gate Park Bike and Skate has a history of making memories in the park since 1978. What started as a skate rental enterprise out of a parked van has now branched out to include the bike rental business. Located across the street from the skating area at 6th Avenue and Fulton, you can enjoy reasonable hourly and daily rates for bike rentals. Overnight bike rentals are also available. 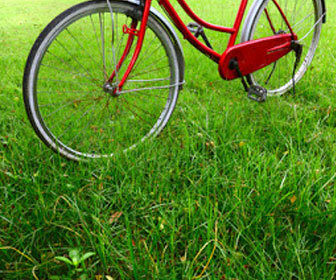 Bike & Roll San Francisco is a bike rental company with ‘green’ initiatives that has been providing eco-friendly transportation since 2001 in a handful of cities around the world. Bike rentals come with free maps to accompany self-guided tours, as well as supplies and other equipment. The company also offers online and multiday-rental discounts. For example, the rental of an Economy Class Comfort Bike (such as a Trek 7200 or similar) is for $14.99 per day for 4 consecutive weekdays. The regular daily rate is $32 (or $28.80 for online reservations). 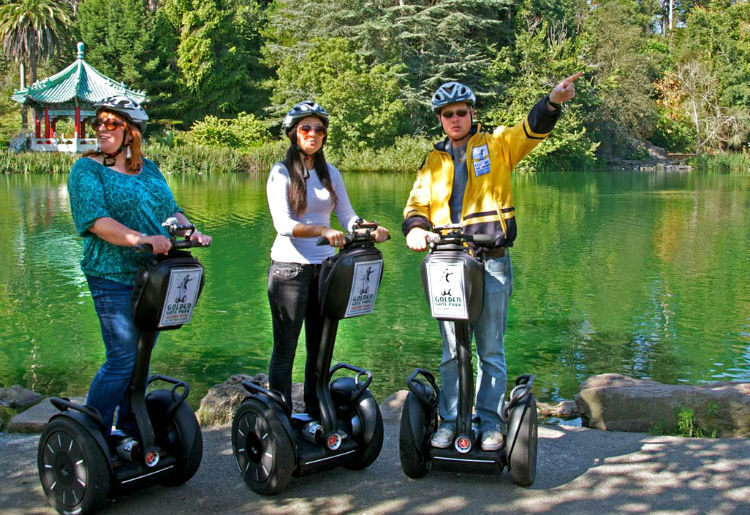 PreviousGolden Gate Park Bike Tours – Every Attraction in a Day!